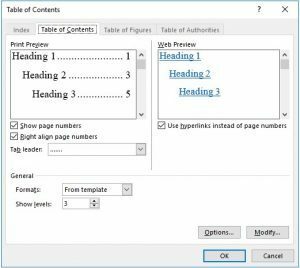 You can create a table of contents by applying heading styles, for example, Heading 1, Heading 2, and Heading 3, to the text that you want to include in the table of contents. Microsoft Word searches for those headings and then inserts the table of contents into your document. 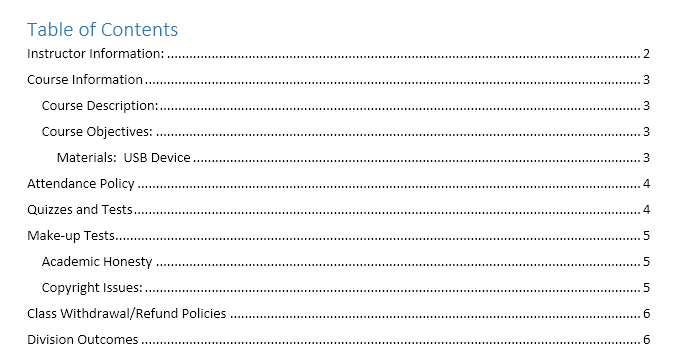 When you create a table of contents this way, you can automatically update it if you make changes in your document. The easiest way to create a table of contents is to use the built-in heading styles. Word has nine different built-in styles: Heading 1 through Heading 9. You can also create a table of contents that is based on the custom styles that you have applied. Or you can assign the table of contents levels to individual text entries. For example, if you selected text that you want to style as a main heading, click the style called Heading 1 in the Quick Style gallery. Sub-headings would be Heading 2, etc. If you don’t see the style that you want, click the arrow to expand the Quick Style gallery. You can modify any of the built-in styles if the pre-set formatting doesn’t meet your needs. After you mark the entries for your table of contents, you are ready to build it. 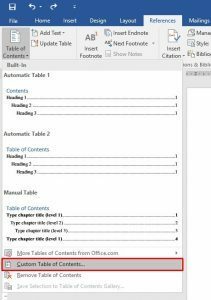 Click the table of contents style that you want or click Insert Table of Contents (office 2010) or Custom Table of Contents (office 2016) to open the Table of Contents dialog box to specify more options. want in the box next to Show levels, under General. To change the overall look of your table of contents, click a different format in the Formats list. box, you can change the font, the size, and the amount of indentation. 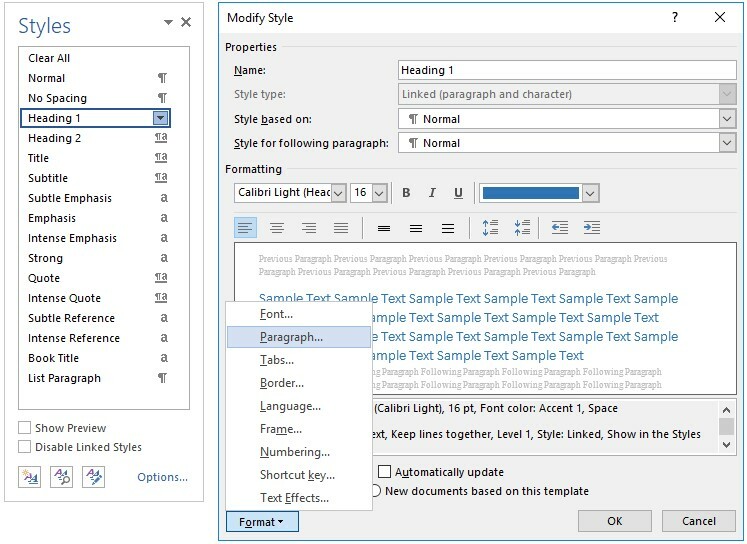 + Under Available styles, find the style that you applied to the headings in your document. + Under TOC level, next to the style name, type a number from 1 to 9 to indicate the level that you want the heading style to represent. NOTE: if you want to use only custom styles, delete the TOC level numbers for the built-in styles, such as Heading 1. How to activate your Windows 7 Home Premium?